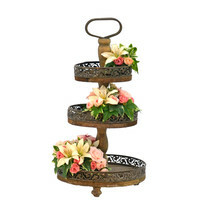 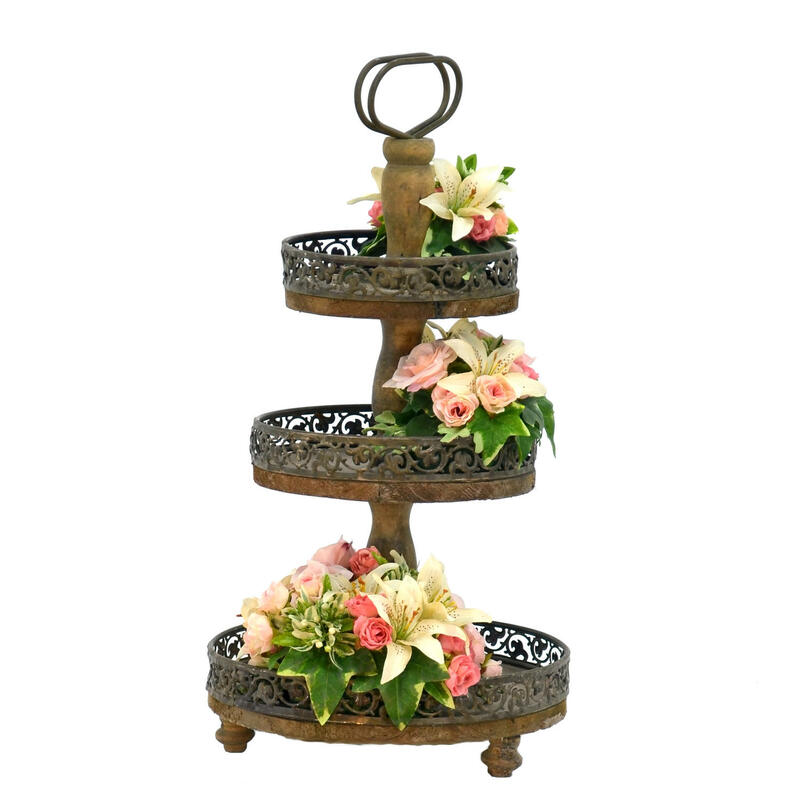 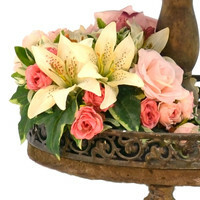 This cake stand fits perfectly in a rustic decor! 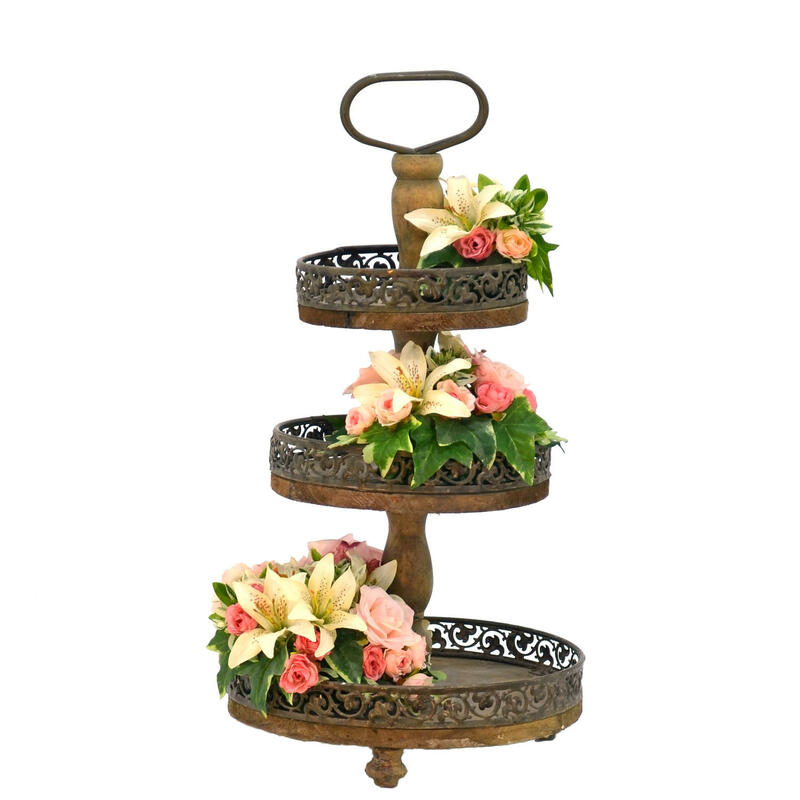 Found on a European tag sale, this wood and metal cake stand is romantically decorated with an abundance of delicate white and pink flowers. 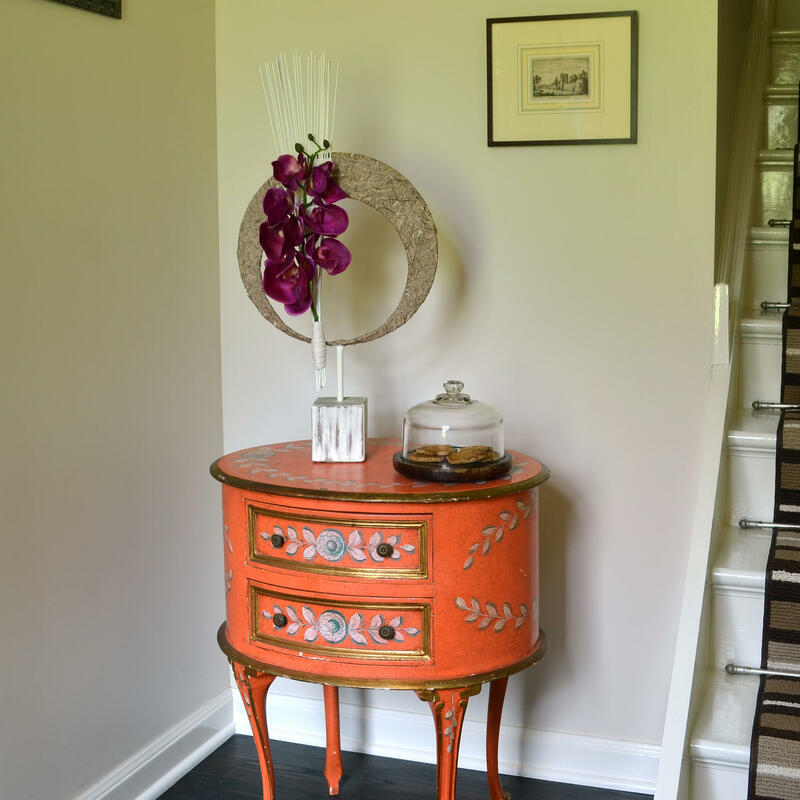 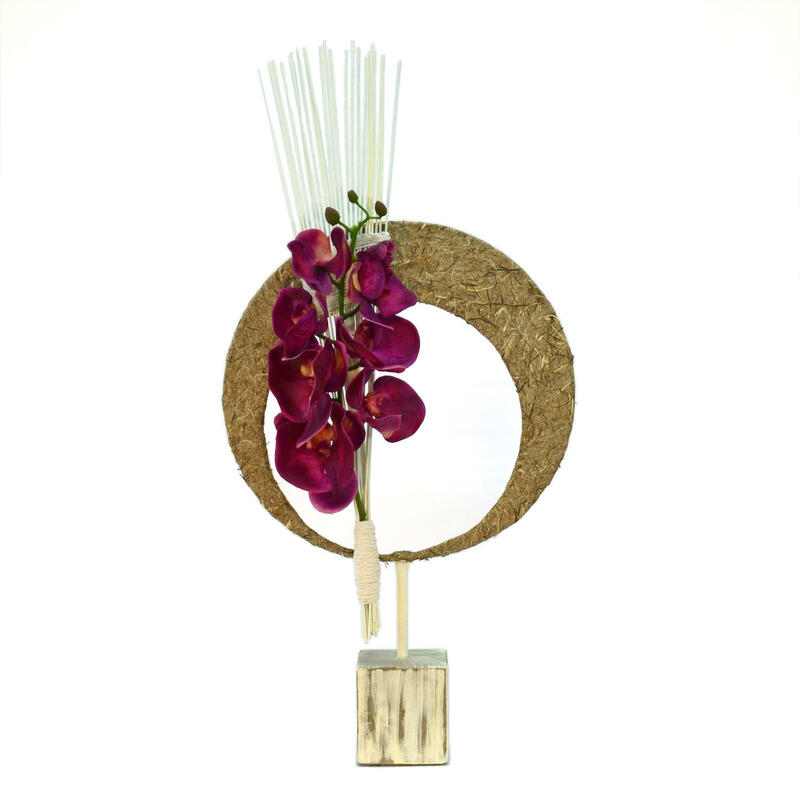 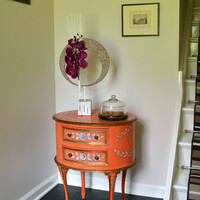 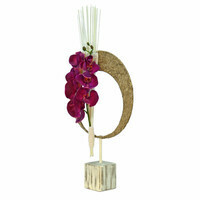 The frame for this modern arrangement was bought in Belgium. 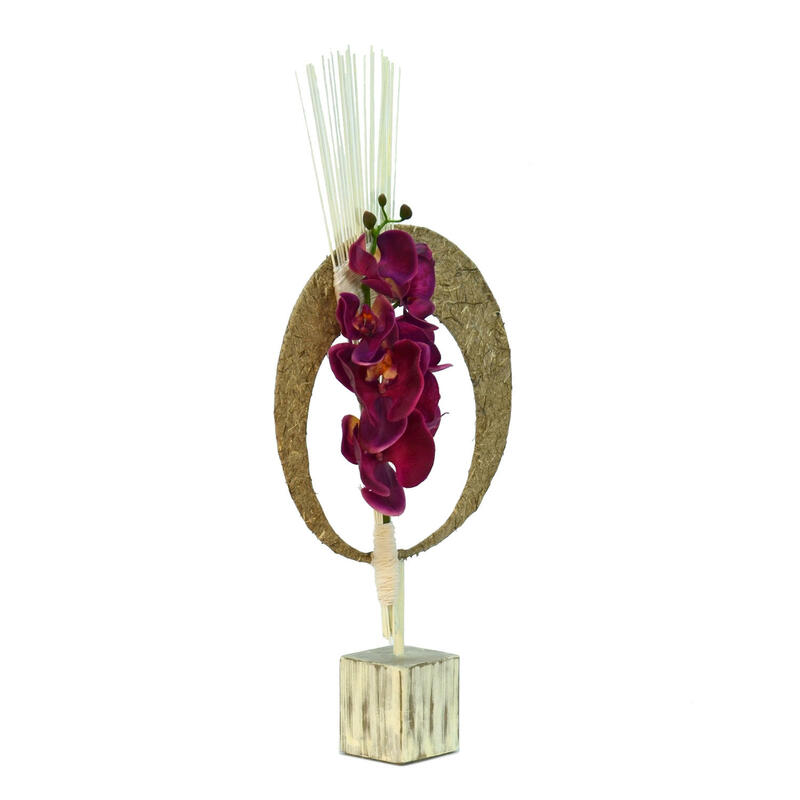 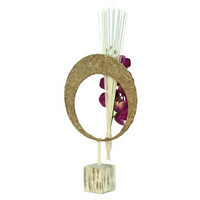 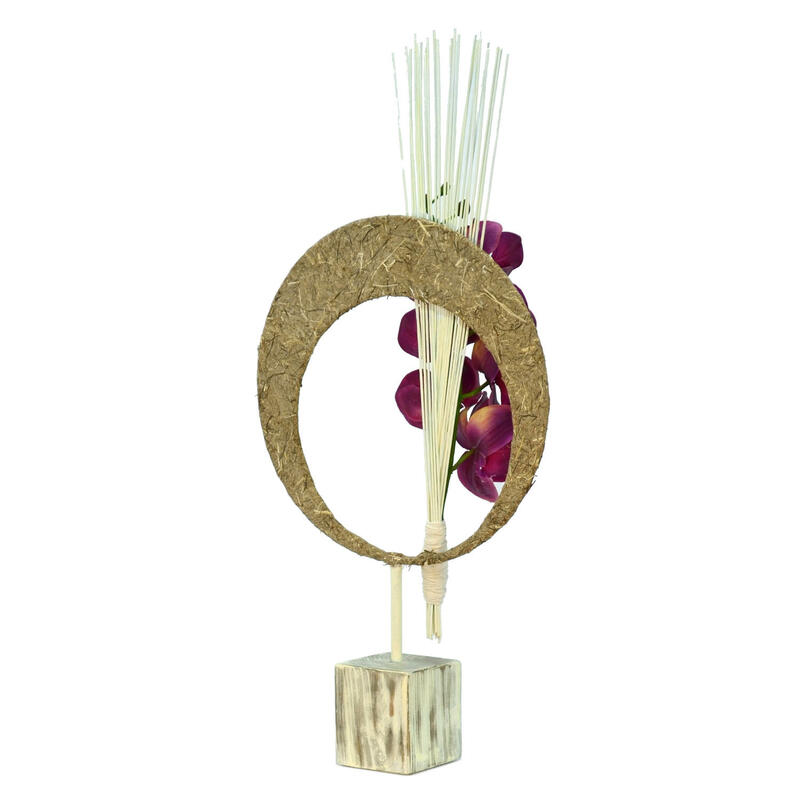 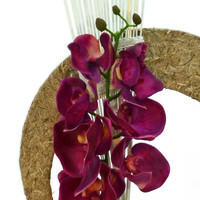 The combination of pine tree fiber paper, white cane and beautiful purple phalaenopsis is a perfect example of contemporary European floral design. 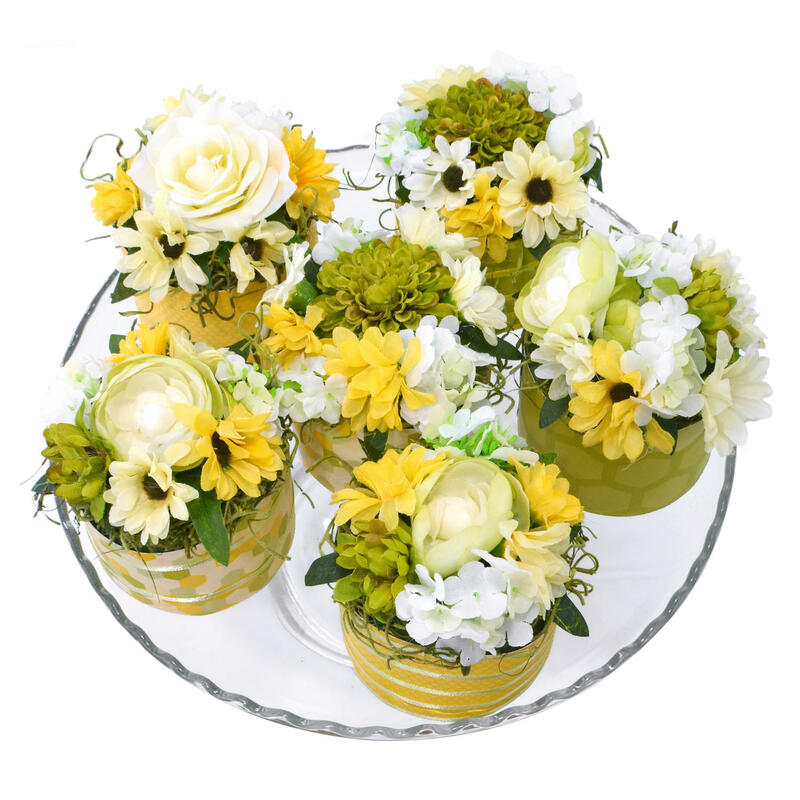 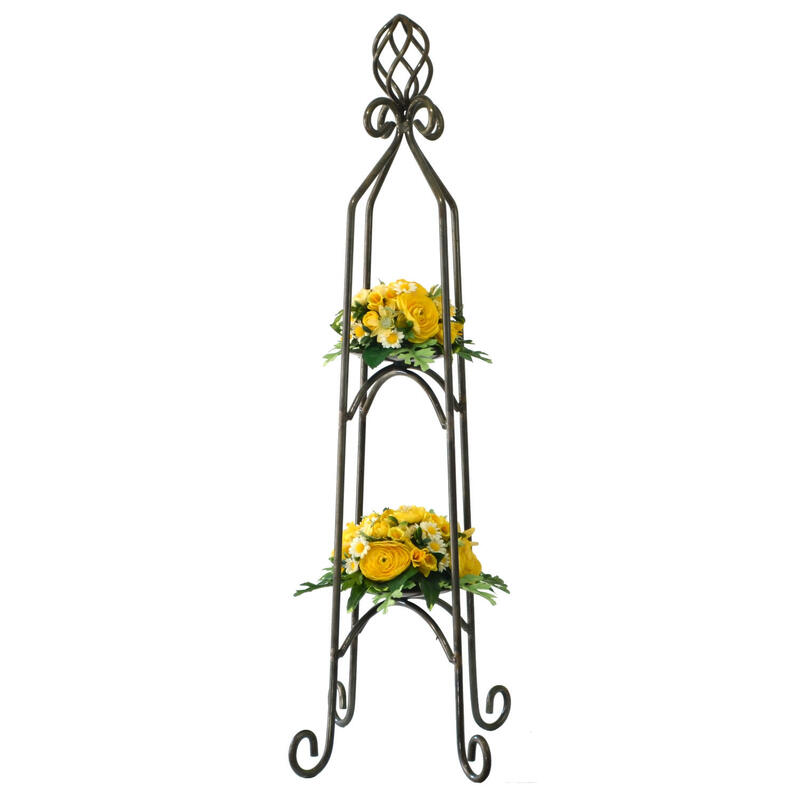 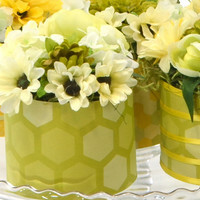 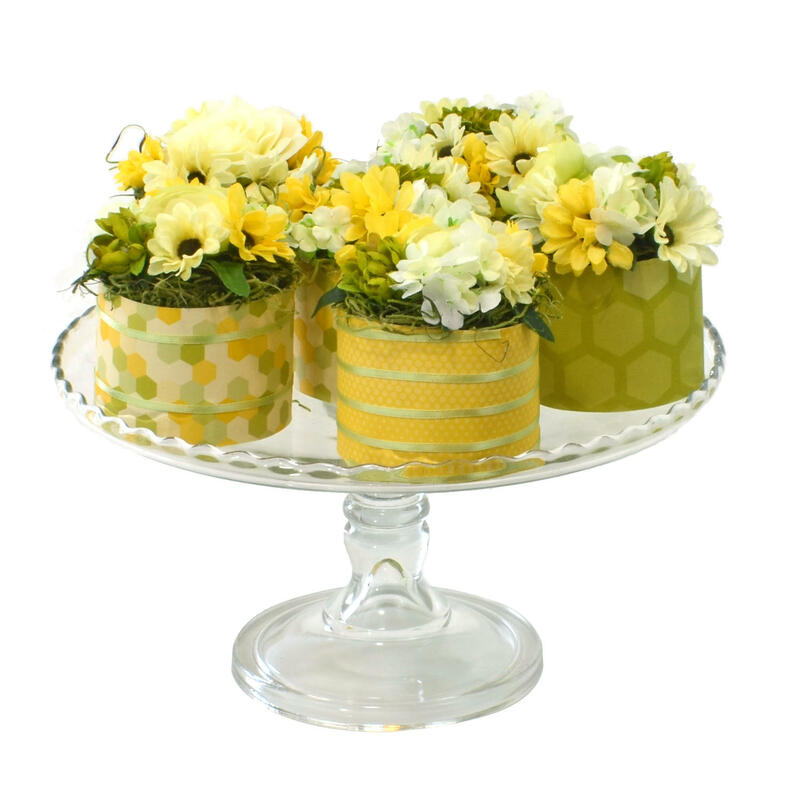 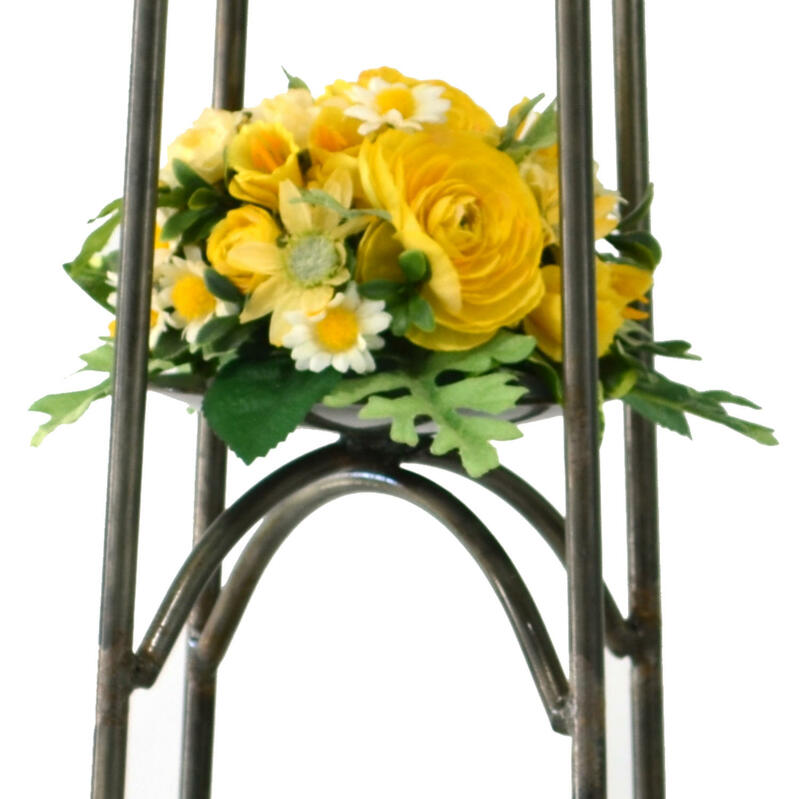 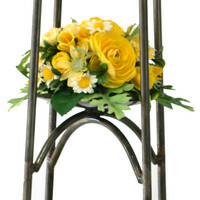 An elegant arrangement with two classic 'Biedermeiers' of yellow and white ranunculus, daisies, mini roses and mini daffodils, on a unique metal object (is it a candle holder, a plant stand?). 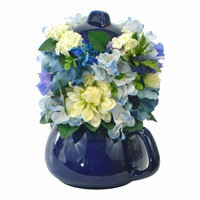 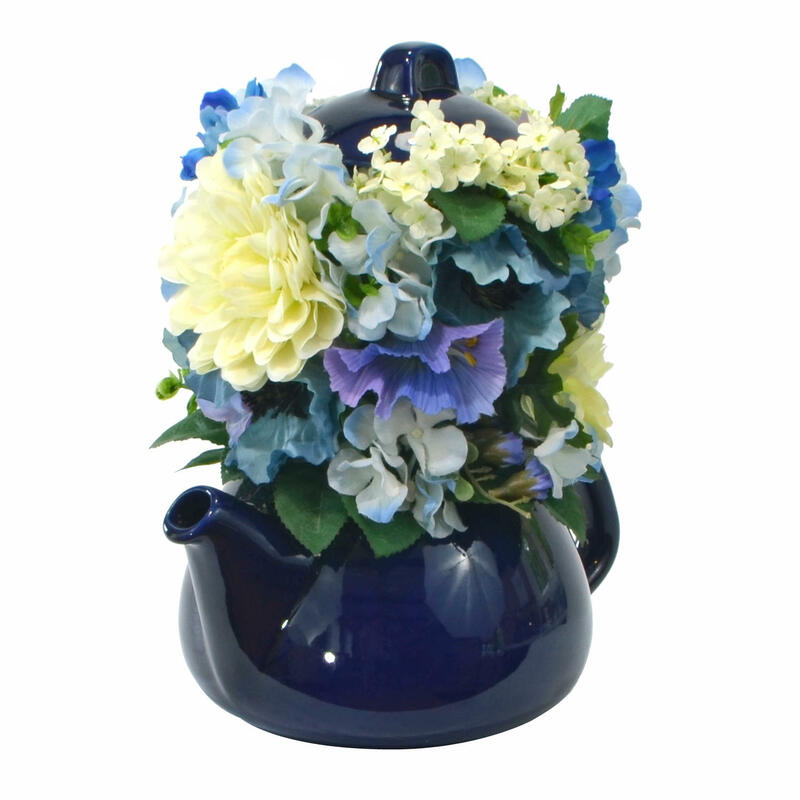 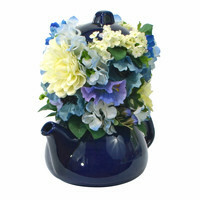 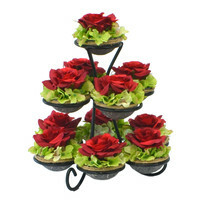 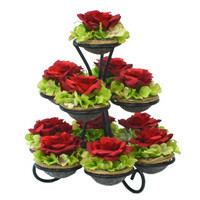 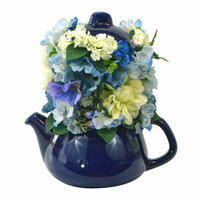 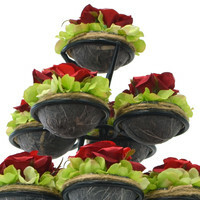 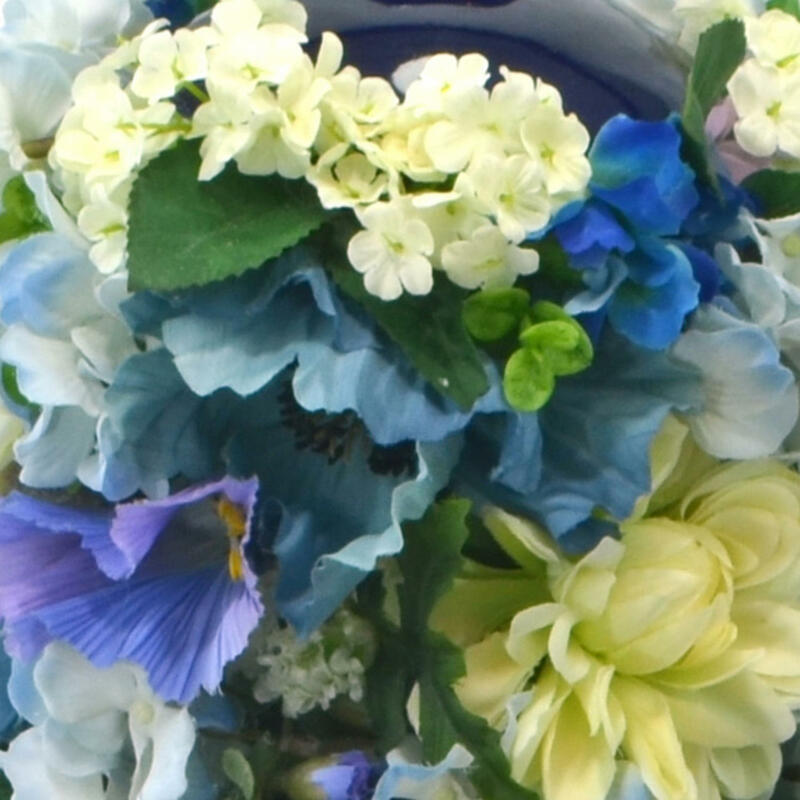 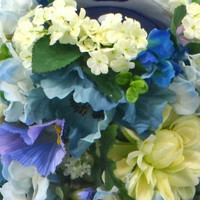 This ordinary cupcake stand is transformed into a romantic flower arrangement using red roses and hydrangea. 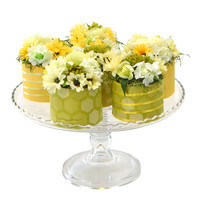 And the flower cupcakes can be removed so you can add your own real cupcakes!